An evening of high quality music with 12 experienced musicians and virtuosos presenting both classical and contemporary repertoire, while taking some extra special liberties with the usual interpretation of selected pieces! 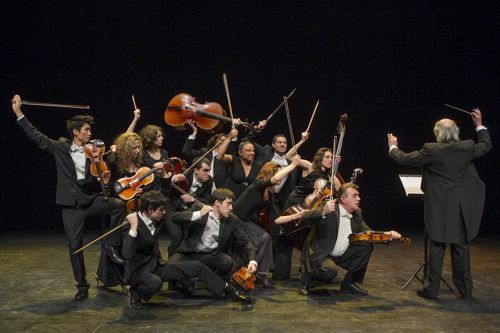 With 25 years of performances and experience under their belts, the Orchestre de Chambre de l’Empordà knows how to introduce surprises and laughter, in a show full of humour, creativity and innovation. Music yes! But also mime, pantomime, gesture, laughter….Vivaldi, Mozart, Beethoven and Brahms interpreted in comical situations typical of a band that has become like a big family, the ECO, (Orchestre de Chambre de l’Empordà) was founded in 1989 in Figueres, under director Carles Coll, and has played more than 2,000 concerts in over 42 countries.